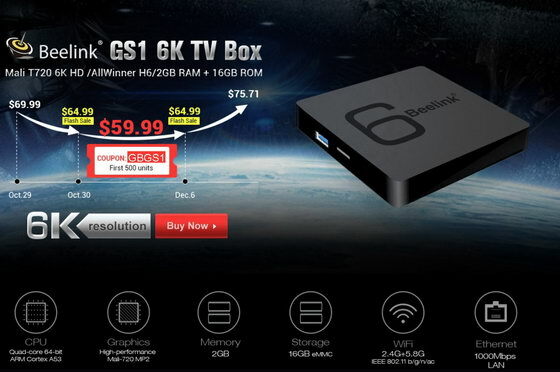 This firmware is for Beelink GS1 TV Box with AllWinner H6 as CPU. Coupon Code Alert! 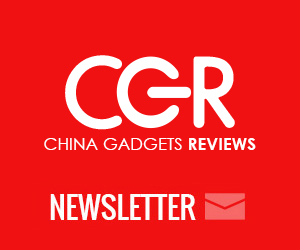 You can buy Beelink GS1 6K TV Box from Gearbest.com for only $64.99 with free shipping world wide. Download Android Nougat 7.1 firmware PC version for Beelink GS1 TV Box from here, here or here. Download Android Nougat 7.1 firmware SD card version for Beelink GS1 TV Box from here, here or here. Download previous firmware from here. Flash it from PC using LiveSuit v1.11 or from SD card using PhoenixCard v3.09. PS ： It may get a black screen briefly. 2. Kodi can perform much more better than before. 3. Some shortcuts have been added to remote for popular demands. 4. Google Chrome has been reinstalled for you. 5. You could get more wonderful experience on Dolby and DTS. 3. the systen will recognize this update zip automatically when you run it well and then shut down to go in the update mode , you need to make sure that Power supply must be firmly good enough to finish this updating, power outages would contribute to a failure. 5. Hold the reset hole and then connect with the computer and tv box , you should keep in mind that the USB2.0 is used for updating but USB3.0 . after that , it is a recognization sign that the red X (upper right corner）turns green.